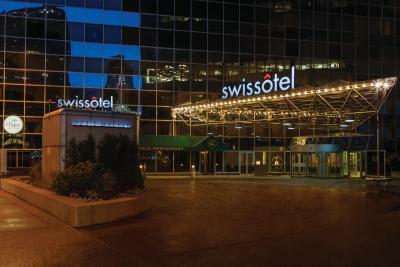 Lock in a great price for Swissotel Chicago – rated 8.7 by recent guests! Spent fun weekend with friends for St Patrick day, great location, beautiful view. Friendly stuff. The bedroom was clean. We were put on the 37th floor so having a view was awesome. Staff was nice. Would defenitley stay again! Rooms were a comfortable size and the beds were very comfortable! 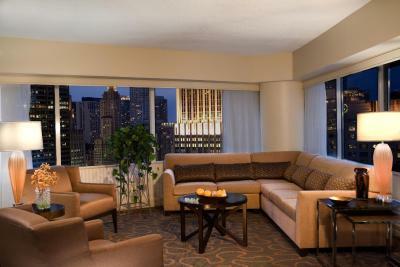 The location is great for downtown activities with a view of the river or lake from most rooms. The staff was pleasant to work with even on a busy holiday weekend. The bed & pillows were the best part of our stay! I never sleep all the way through the night & I got in a full 7 hours! Room service was delicious but pricey. View was PERFECT. Got eye level views of the fireworks on NYE. 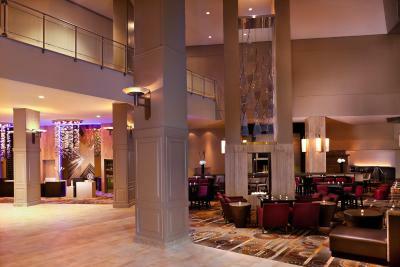 The accommodations were great and the staff was friendly and helpful. The location was good. 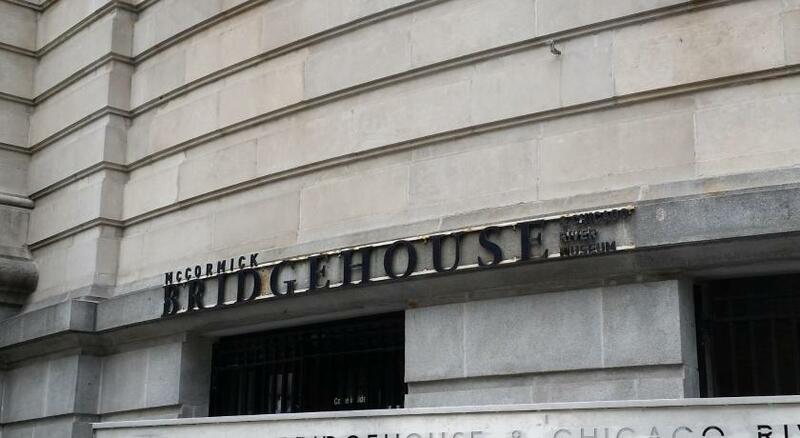 Close to Michigan Avenue and the Art Institute. Desk staff person made sure we had an excellent higher level room with a spectacular view. 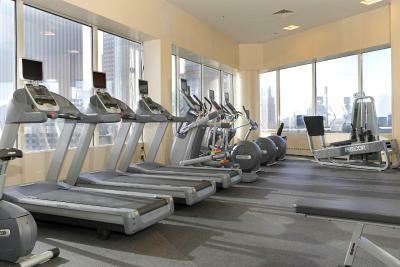 New fitness center was great! The beds and pillows were very comfortable and the view from our room was beautiful! 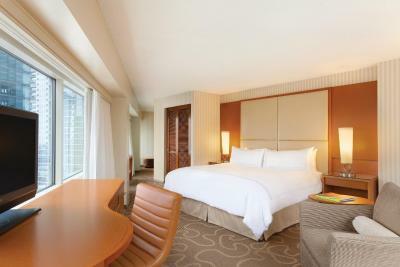 The room was also very clean and the staff was attentive and helpful! Staff was great and very accommodating. The hotel was clean and comfortable. Very pleased with the experience and would absolutely return there. The only good thing is location. Close to everything, to the wharf, to the river. Swissotel Chicago This rating is a reflection of how the property compares to the industry standard when it comes to price, facilities and services available. It's based on a self-evaluation by the property. Use this rating to help choose your stay! 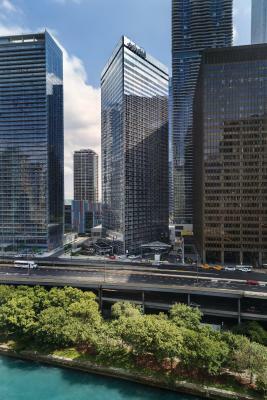 Steps away from the Lake Michigan and the luxury shops, dining and entertainment on the Magnificent Mile, this all-glass triangular hotel is located in downtown Chicago and features upscale on-site restaurants and scenic views of the city. Free WiFi is available in public areas. 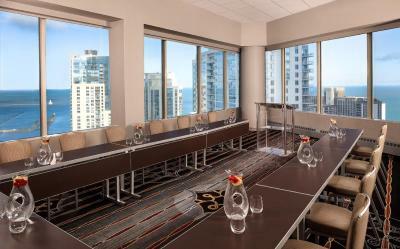 Every room at Swissotel Chicago provides a flat-screen LCD TV and an oversize work space with a desk and ergonomic chair. 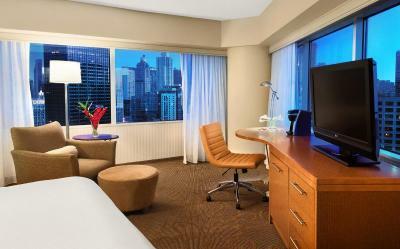 An in-room safe and coffee maker are also included. Guests can choose from an array of classic American fare from the breakfast buffet at The Palm. 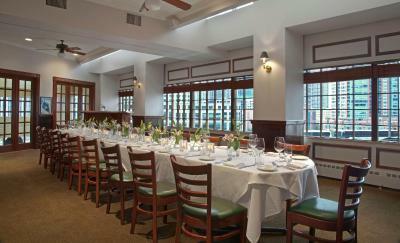 The Palm features premium prime beef and traditional Italian fare for lunch and dinner. 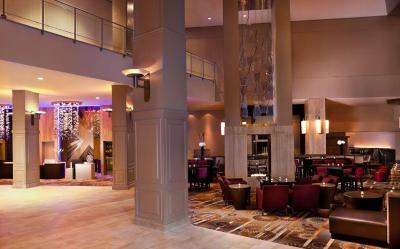 For a more casual experience, the lobby lounge, Amuse, serves small plates and cocktails in a vibrant setting. 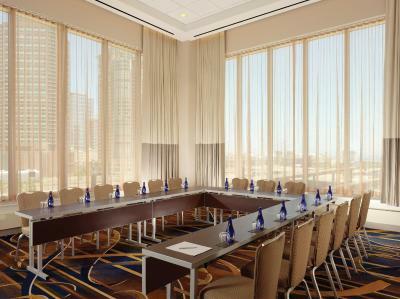 The hotel also offers 65,000 square feet of meeting space. 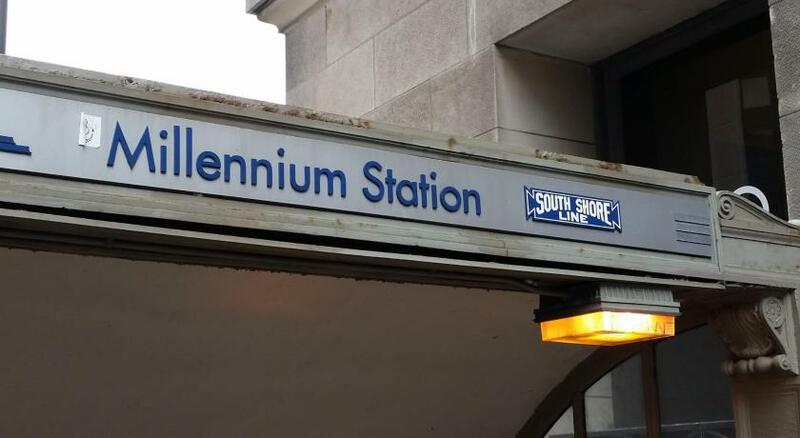 Millennium Park and the Art Institute of Chicago are both less than a mile away from the hotel. Navy Pier is a 7-minute drive away. 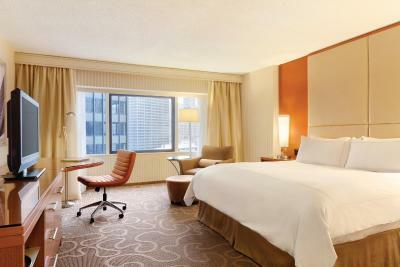 When would you like to stay at Swissotel Chicago? 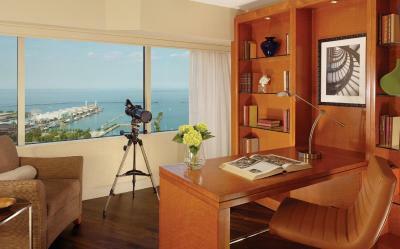 Featuring views of Lake Michigan and Navy Pier, this room includes a private bathroom with a separate bath and shower. 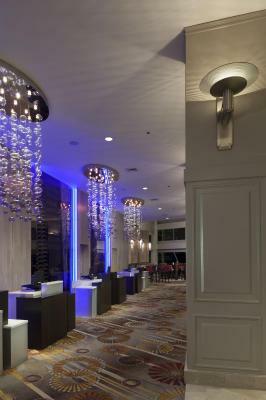 A hairdryer and upscale bath amenities are also provided. 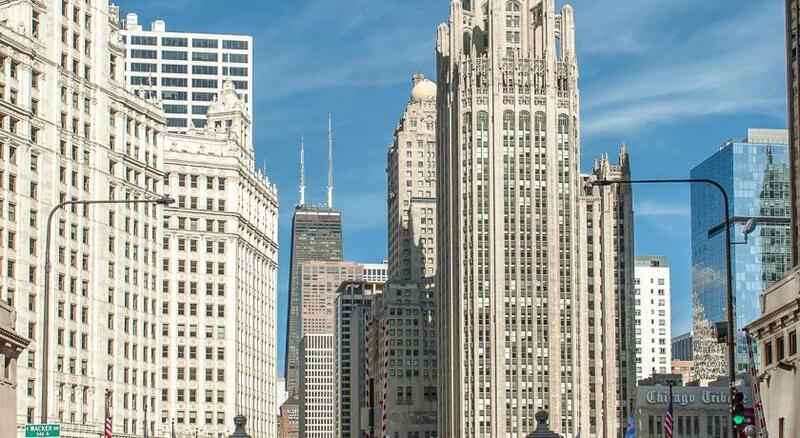 Featuring views of downtown Chicago, this room includes a private bathroom with a separate bath and shower. A hairdryer and upscale bath amenities are also provided. 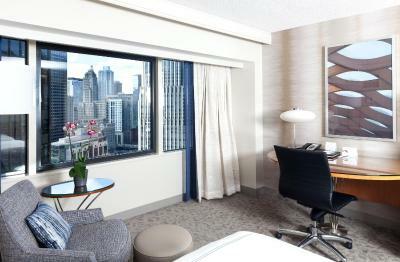 Featuring panoramic views of downtown Chicago, this room includes a private bathroom with a separate bath and shower. A hairdryer and upscale bath amenities are also provided. 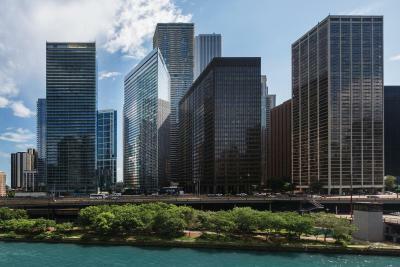 Featuring views of the Chicago River, this room includes a private bathroom with a separate bath and shower. A hairdryer and upscale bath amenities are also provided. 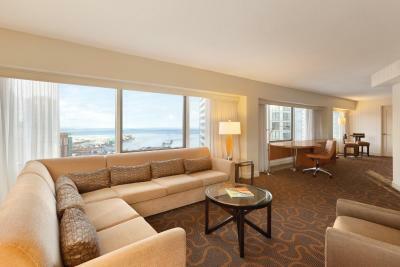 Featuring panoramic views of Lake Michigan and Navy Pier, this room includes a private bathroom with a separate bath and shower. A hairdryer and upscale bath amenities are also provided. 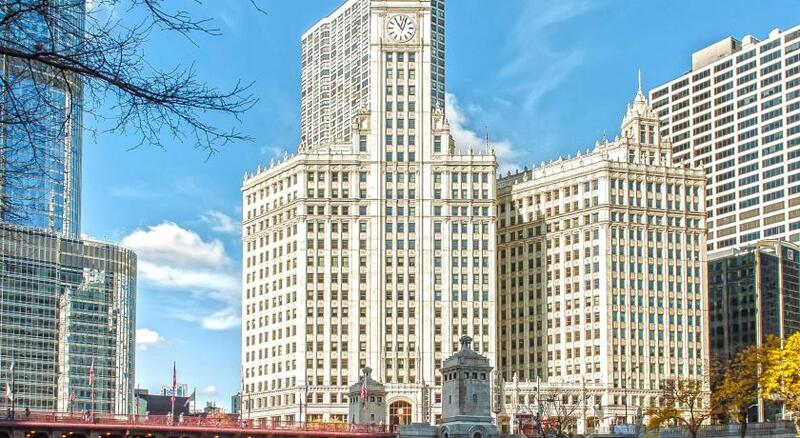 Featuring views of Maggie Daley Park, Millennium Park and the Buckingham Fountain, this room includes a private bathroom with a separate bath and shower. A hairdryer and upscale bath amenities are also provided. 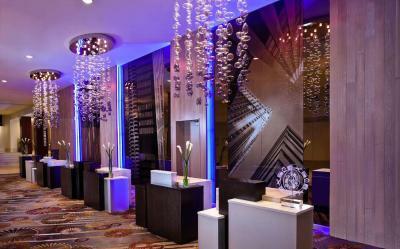 Featuring burnished hardwood floors and upscale luxury furnishings, this spacious suite offers an executive office, parlor area and wine bar. A sofa bed is also included. 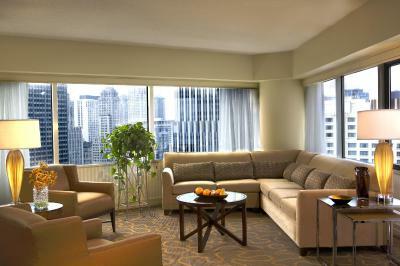 Featuring a spacious parlor area, this large suite includes a private bathroom with 2 baths and an executive work area. 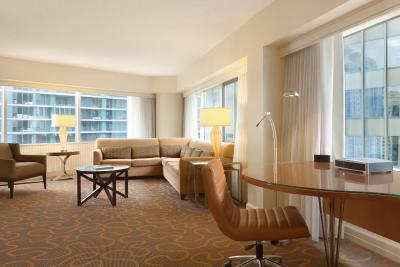 This split-level suite offers a large seating room area and 2 bathrooms. An executive work area is also included. 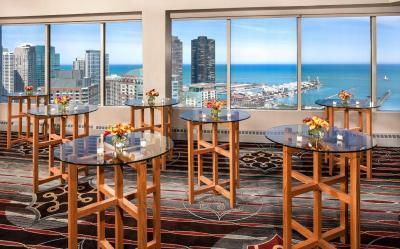 This room is located on the 20th floor or higher.and features views of the Chicago skyline. It offers a private bathroom with a spacious shower and bath tub, along with upscale bath amenities. 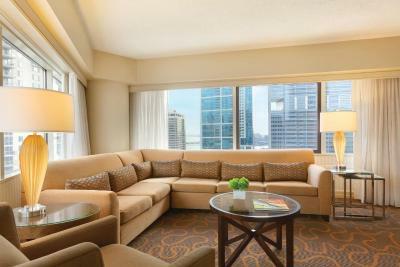 This room is located on the 20th floor or higher.and features panoramic views of the Chicago River. It includes a private bathroom with a separate bath and shower. A hairdryer and upscale bath amenities are also provided. 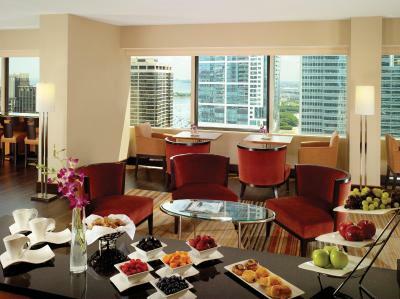 House Rules Swissotel Chicago takes special requests – add in the next step! All older children or adults are charged USD 50 per night when using existing beds. 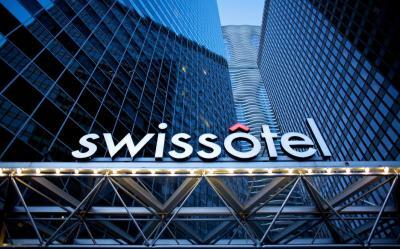 Swissotel Chicago accepts these cards and reserves the right to temporarily hold an amount prior to arrival. Please note that the property no longer has a swimming pool. The amenity fee includes internet, local/long distance calls, fitness center access and a fitness center smoothie, dry cleaning (value of $12), nightly shoe shine upon request, coffee & tea in lobby (from 5:00 to 6:00), and 10% off private transportation. The hotel itself is not bad enough. The view from the hotel is amazing. But the work of the staff ruined my visit. I used the service to leave the luggage at the hotel for a couple of hours after my departure. When I returned to pick up my luggage, the guy who brought my luggage back to me didn’t care less about my things, moreover, he began extorting tips, when I said that I had no cash, he didn’t have a double face and pointed to an ATM. I paid for the night in the hotel $ 350 apparently it is not enough. Here are your tips guy. There were no problems for us. The hight of the shower is too low so a bit uncomfortable for showering. Breakfast is a la carte would be good to have a buffet breakfast. The Gym was brand new and fully equipped. 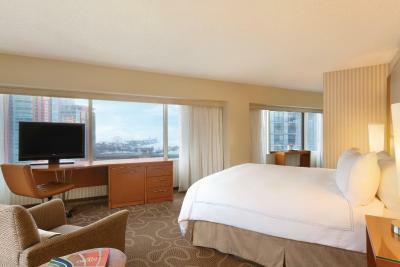 Rooms where big and bed comfortable. Staff was very friendly and opened to answer any questions. We stayed at this hotel celebrating my husband' s birthday. When checking the website pictures slideshow, there it was a gorgeous indoor pool and my hubby loves water, I though perfect place for him. Right after finishing booking there was a surprise "sorry message" letting me know that this location don't have a pool. Little too late for cancellation without being charge with cancellation fees and little disappointed about it also . Anyway my husband had a great time, he loves de Hotel and the stunning view. A little hard to get to. You have to pay to park your car even though u r guest. 70 for valley and 50 for self. Daily! Everything is charged a la carte it seems. We spent $100 on room service (a sandwich & a veggie burger with fries, a 20% charge for I’m not sure what & a service fee), there was bottled water available for $8, WiFi was $15 per person per day, we were charged a $17 amenity fee & since parking was a disaster we opted for $70 valet parking. We joked that they probably also charged for the air we were breathing. Overall it was a great stay & since I read Booking.com reviews I was prepared for everything to be more on the expensive side. It was New Years Eve so we were okay with splurging.